While it’s amazing to explore the world, flying is generally the worst part about it. While airline food may be getting (slightly) better, airplane seats are getting worse. And given how tiny and cramped they already are, forgive us for not being excited for the new Skyrider standing airplane seats. The Skyrider 2.0 is from the Italian seat manufacturer Aviointeriors. The company claims their upright design lets airlines book even more passengers — called “ultra-high density” — and reduces the space between rows. The seats are bent, so the effect is more like a saddle. Should an airline convert to these standing airplane seats, they would increase their passenger load by 20% in coach. This comes at a time when standard airline seats are, at 17 to 18 inches wide, seats are considered at least five inches too narrow for the average person. For example, this author is 350 pounds and 6’5″ — I already don’t fit in airline seats. And, according to one travel blogger, these seats would be even worse for someone of my size. 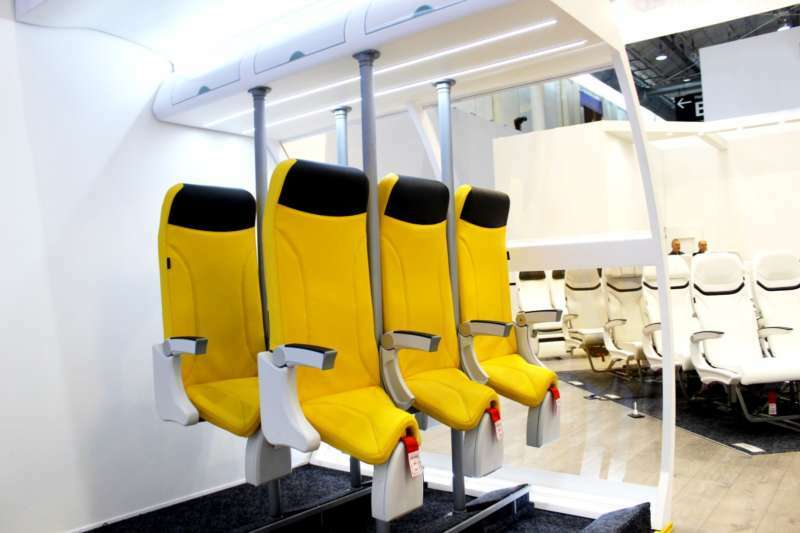 Would you fly with an airline that uses standing airplane seats like the Skyrider? Let us know in the comments!